With its stripped-down instrumentation and focus on storytelling, folk music has long enjoyed a powerful association with social consciousness. How unfortunate that a lot of gifted folk singers seem too fragile or precious for the burden of their work. 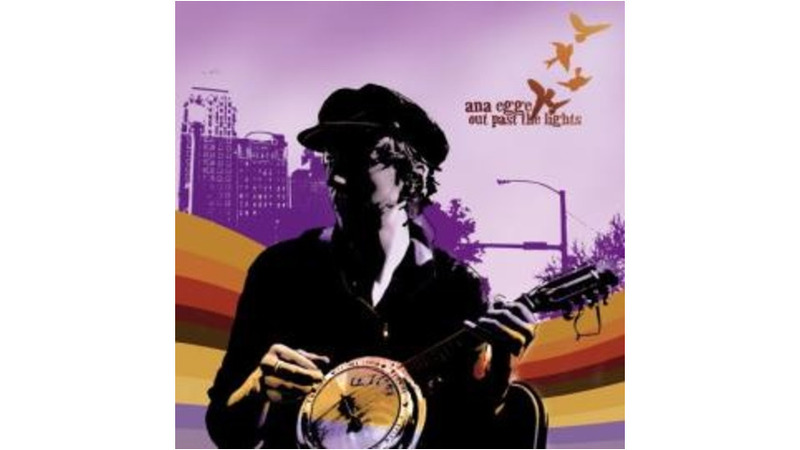 Not so with Anna Egge, a rough-and-tumble Lilith Fair alum who builds her own guitars and regales with an itinerant lifestyle—calling at any one time, Canada, North Dakota, New Mexico, Austin and Brooklyn home—from the back of a bicentennial-year motorcycle. With a little help from Ron Sexsmith on backing vocals, this honey-tongued wandering minstrel tells it like it is on her countrified fourth album, Out Past the Lights. Confessing loneliness without shame in the melodious “Sailor,” tackling patriotism without pride in the symphonic country of “City of Liberty,” and nailing Red-State/Blue-State disconnect on rollicking gem, “Wedding Dress,” Egge pulls the listener into her life portraits. “Anne Marie lives in Kansas City. She’s a Christian, she loves living there,” Egge sings without sarcasm or pretense in “Wedding Dress.” If you can’t see the white-picket fence by the time the song ends, it’s time to clean out the earwax.